These leading ladies and gentlemen enthralled us this year with their performances in some of our favorite dramas. Their acting prowess was on full display with the wide variety of characters they played. Even if we were just casual viewers before, these performances transformed us into full on fangirls. Make some room on your “bias list” because you might just have a new favorite after reading our list. Let’s see which actors and actress made it onto our 2015 Countdown’s #2: Best Actor & Actress! Actor – If there was one drama revelation that I had this year, it’d be my newly discovered obsession admiration for Ruco Chan. And that drama to open up my eyes to his amazingness would be Eye in the Sky (HK). I never paid him much mind before watching him in his villanious turn as Cheng Lik Hang, international thief/twin bro of Kevin Cheng, since there were other Hong Kong TVB actors I preferred. His performance in this drama, however, demonstrated how wide his acting range is. He was so into his acting and this role that he legitimately had me wondering how he perfected that psycho look in his eyes. It’s a shame that he wasn’t nominated for an award for this role, instead of that hot mess, Captain of Destiny, because this was a better and probably more accurate representation of his acting skills. Without a doubt, Ruco Chan took this show (and my fangirl heart, lolz) and ran away with it. 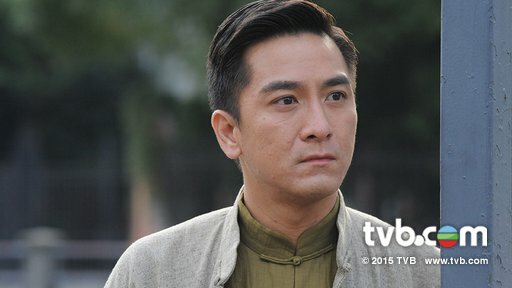 Runner-up – Kenneth Ma in Lord of Shanghai (HK) put a lot of doubters, myself included, to rest for thinking he can’t be a serious, legitimate actor. Playing the younger version of Anthony Wong’s simple man turned gangster kingpin character, Kenneth cast away his normally goofy persona. He put in the work with this role and it really showed. Actress – Gong Hyo Jin wins the Best Actress nod for me because of how impressed and pleasantly surprised I was by her comedy skills and comedic timing as the veteran PD, Tak Ye Jin, in The Producers (K). This was a rather new and refreshing role to see her in because I’ve only ever watched her in dramas where she plays a rather weak character. 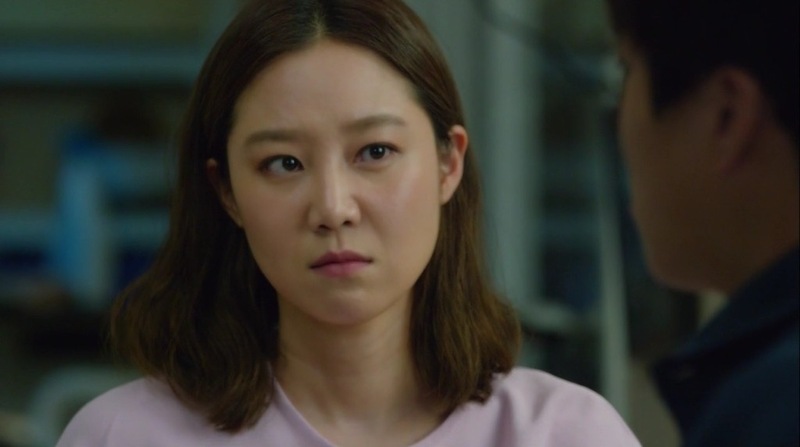 Despite generating a lot of laughs and jokes in her role, Gong Hyo Jin was able to just as easily flip the switch and go into “serious actress” mode. I knew that she was a good actress prior to this because of how natural she is in her acting, but this drama demonstrated that she isn’t restricted by only one or two types of roles and characters. And just the ability for her to reject Kim Soo Hyun for Cha Tae Hyun…someone give her an award now! Actor – Wallace Chung from You Are My Sunshine (C) definitely has this category in the bag. He was able to bring onto screen a standoffish Yi Cheng who melted at the sight of his love, Mo Sheng. Though Yi Cheng had a cold exterior, Wallace was able to capture that internal turmoil through his eyes and body language. After all, he is a veteran actor so I expected no less from him. Runner-up – Choi Siwon from She Was Pretty (K) was also pretty good in his role as the second lead. I have already sang his praises in my series review so you can check out my reason there. He was definitely able to bring the character to screen and I anticipate more from Siwon! Actress – Vicki Zhao/Zhao Wei was fabulous as always this year in Tiger Mom (C). Her chemistry with Tong Da Wei was no joke (after all, they are frequent collaborators) and I have yet to see a character she can’t master. She was able to really show us what a desperate yet loving mother is like as she struggles with the unfamiliar education system. Perhaps it is because she became a mother in recent years, but these motherly roles really suit and she has impressed me again and again with her ability to interpret and bring to life the characters she plays. Which actors and actresses gave the most impressive or memorable performance this year? Did you become new fans of anyone after watching their acting? Stay tuned tomorrow for the big finale of our 2015 countdown… Best Drama! I sure wish someone would sub Eye in the Sky, because I would so love to watch it! If you searched for, “eye in the sky tvb eng sub,” you should be able to find the videos with subtitles online! I also recapped all 20 episodes of the drama here on the blog, so that might help too. Oh wow, I found it! I guess I wasn’t using the right key words or something but it came up right away! Thanks so much, I’m sure I’ll love it! YES Ruco and Kenneth were outstanding in their roles, and are my TVB favs right now (I also like Sammy Sum but his acting is not really there yet…), I’m really looking forward to their new series!!!! As for actress, I thought that Kristal Tin acted well in Ghost of Relativity. I thought she caught the comedy tempo quite well. Happy (late) new year (again)!